With the weather forecast looking good and the flowers at the site now approaching their best, why not pay the site a visit this weekend particularly on Sunday when the Friends sponsor the Archery Day. You can have a go on the short and long targets. Medieval Archer Pete Lawton is putting on a display. The 1940’s blitz cottages will be open as well so as it is Fathers’ Day this would make a great family day out. Hope to see you there as I will be conducting some of the guided tours. Dig Day at the Discovery Centre and Tudor Ruins. 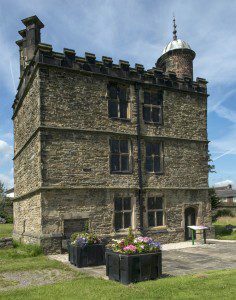 Get up close to archaeology at Sheffield Manor Lodge with family fun activities. Hands on Past. Dig down into the Heeley City Farm Finds Handling Collection and explore their dig box. Archaeology for the Senses. Archaeology is all about digging deep into the evidence to help us better understand how people live their lives, past into present. Join Stella in our Apothecary’s Garden to touch, smell and taste the stuff of archaeology. From decorating living spaces to preparing food and drink. Drop-in throughout the day. The Archaeology of Animals. Helene introduces us to the field of ZooArchaeology. Meet the sheep skeleton! Show and tell with our medieval archer fresh from the battle of Agincourt. Find out about his weapons and life as an English medieval archer. Face painting with Mystical Magical Events.